Before becoming a pro at something it’s very likely that someone has gone through a lot of growing pains of mistakes. Some mistakes are cheaper than others but one thing is for sure: it is very important to learn from them. I have compiled a list of some of the top tips and recommendations that seasoned vets always talk about so that if you are a first time landlord you can save yourself the pain and learning curve. Screen, screen, screen your tenant! 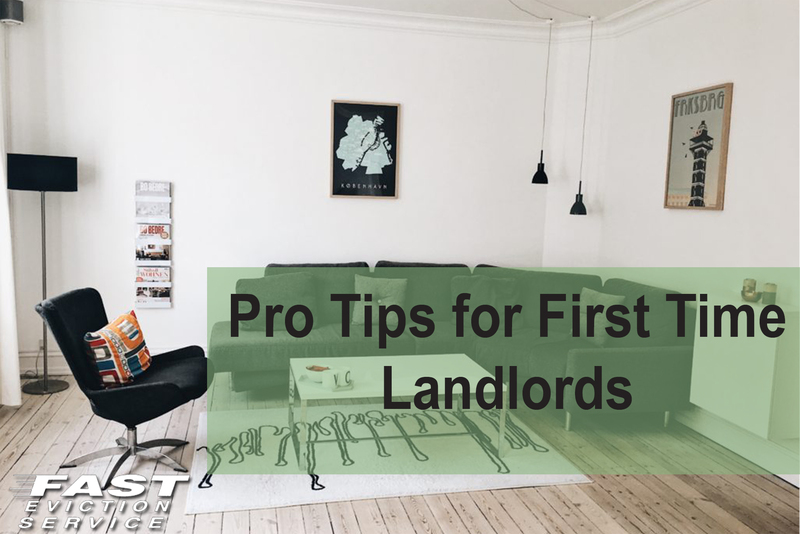 This is by far one of the most common tips all veteran landlords will give you and most likely the very first one that will come out of their mouth. Not paying attention and just “going with your gut” can often lead to very serious and expensive issues with your tenant. Make sure you keep the following list in mind when reviewing and screening your tenant. Pro tip: Use Google to find contact information for previous employers and or landlords. Many times tenants try to give you a friend’s phone number to speak highly of them. A smart investment for your property would be making a home improvement project that can fetch more money in rental value. One example would be to install new plumbing fixtures to rental homes that are 8+ years old. Going for a brushed metal look and keeping the same look throughout the house/apartment are always a good idea. An example of a bad investment would be to install new stone countertops in a low market value or low income neighborhood. The ROI on these types of makeovers are usually not very good and will take you quite a bit of time to recover. If you are planning on staying in the real estate and or landlord industry then there is no reason as to why you shouldn’t read up on fair housing laws for your state and cities where you do business. Failing to do so can have very serious implications. All the information is readily available through a quick Google search; I highly suggest you start doing so if you haven’t already. Truth of the matter is everyone’s cat or dog is the best behaved and trained in the world. I guess they just hand those prizes out without merit. Cat urine is one of the toughest odors to get out of floorboards and carpet. About 10% of the US population has some sort of pet allergy and out of those 10%, 75% are allergic to cats! I don’t know about you but I just wouldn’t risk the next tenant being allergic and have to lose them because of the residue left from the previous tenant. Finding the right person or people to do business with should take a lot longer than a couple of lunches and a business meeting. Take the time to find people who are transparent, honest, have the same goals and values as you. Don’t rush into making a long term commitment business deal with someone who offers you a good deal especially if you just met. Take the time to develop a healthy relationship and you’ll see how much better your investment relationships will be. At the end of the day your rental property is a business. You need to be aggressively collect rent and late rent fees. Work with the tenants that are always in communication with you but if they start constantly being late and start ignoring your calls, text and avoiding you then it’s probably a good idea to start the eviction process right away. Before you know it, you’ll be out of 6 month’s rent and a thrashed apartment or house. It’s always a good idea to have a clear communication lane with your tenants. Stay up to date with the current technology and offer your tenants a way to pay rent online either through PayPal or the many landlord platforms and tools now available to make your tenants feel like you’re thinking about their comfort. Collecting rent the old fashion way can be tedious. Sometimes your tenants check can bounce and every landlord can tell you their own story about collecting check bouncing fees, going to the bank a second time to deposit it etc. Embrace technology. I can’t begin to tell you how many different apps and platforms there are nowadays to promote and market your rental property digitally. Use them. Not only are MOST free, but they are what people use nowadays and if you stay behind in the old fashion world of printed flyers and ads your property will stay vacant a lot longer. Reduce your vacancy time by using the right tools and platforms to get your property listed and seen by the right people. Imagine what all of these veteran landlords had to go through to learn from some of these tips and recommendations. They’ve been through evictions, landlord tenant disputes, legal proceedings and many more situations I can’t even think of at the moment. Keep this list handy as it could help you in the future. Maybe you haven’t gotten to some of these points just yet, but it’s a good idea to keep them handy!